Jackson | Main Architecture is a midsized design firm with over 50 employees and offices in Seattle and Kansas City. JMA includes licensed architects, intern architects, interior designers, LEED professionals, and a technical and support staff that specialize in multi-family, commercial, mission critical, institutional, retail, single family, and health care design. The principals collectively have experience in the architecture field throughout the United States. JMA provides design services in architecture, master planning, interior design, space planning, and building renovation. We also offer pre-design studies for project feasibility including site evaluations, site utilization and comparative analysis, such as remodel/renovation versus new construction and reviews for the adaptation of older structures to new and intriguing uses. JMA inspires with our design, helping our clients succeed by improving people’s interaction with the built environment, emphasizing human needs and responsible stewardship of natural resources. 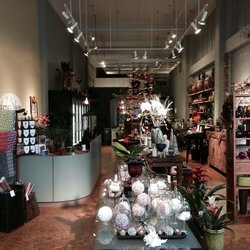 Seattle Flowers has operated as a full service florist, located in the heart of Seattle’s downtown business district, for over fifty years.